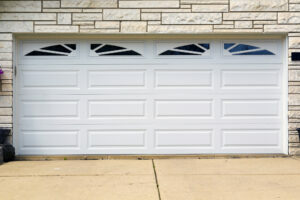 6 Garage Door Maintenance Tips Other Companies Don’t Want You To Know About! Do not allow children to play or hang on your garage door. It is dangerous and can result in injury or death. 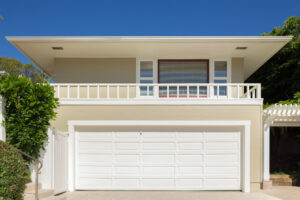 You should discuss garage door safety with your children. Be sure to show your children that they should never stand or walk under a moving garage door. Make sure they understand the danger of being trapped under the door. Never let children play with or use the wall button. The wall control button should be 5 feet from the floor, out of the reach of children. The button should be mounted and used where you can clearly see the garage door. 3) YOU SHOULD PERFORM VISUAL INSPECTIONS ON A MONTHLY BASIS. Do a visual inspection and look at the springs, cables, rollers, pulleys and all other hardware for signs of wear. If you think there may be a problem, call a qualified professional to make the repairs. Springs and other related hardware are under extreme tension and can cause severe injury when improperly handled. Also, inspect the safety eye sensors down at the bottom of door and make sure they are free of obstructions such as cobwebs or dust and are in alignment. 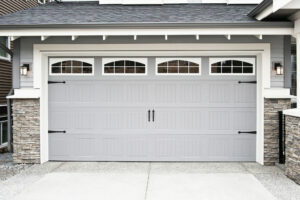 Garage doors and garage door openers require routine maintenance. 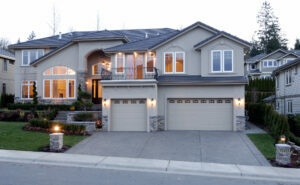 Garage door openers require lubrication every 6 months or when they become noisy. Lift master and Sears openers’ internal gears can be lubricated by first unplugging the electrical power, then removing 4 screws from side or back panel. Distribute Lubriplate multipurpose low temperature grease on white gears as shown in picture. Lift master and Genie screw drive rails need to be lubricated with the same Lubriplate. Pull the emergency release cord to disconnect door from opener, then use the remote control to activate the opener motor and insert the Lubriplate grease while screw is turning. Next, look for trim located on each side of your garage door, which will need to be lubed with Door Ease Stick Lubricant every month. Raise the door and rub Door Ease onto trim on both sides. It will be obvious where the door has been rubbing. The 3 lubricants mentioned above can be found in the Maintenance Pack and can be picked up at any of our locations. Make sure you have checked the balance of your door before you begin testing the opener. Your opener should have a reversing feature and you should test it every month to make sure it is functioning properly. While the door is open lay a 2X4 or 2X6 flat on the floor. Push the control button to close the door. The opener must reverse when it strikes the wood. 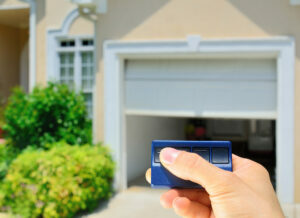 If your garage door opener does not reverse, the force adjustment may be turned up too much and will need to be adjusted. Your owners manual will explain how to adjust the force sensitivity. If you are not familiar with this adjustment call a qualified professional to make the adjustment. 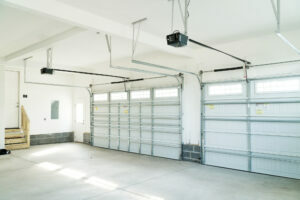 Consider replacing your garage door opener if it is old model and/or is not up to UL 325 Code which states “the entrapment protection means suitable for the operating system to assure that the entrapment protection components, such as photo-eye and edge sensors, are compatible with the operating system”. Safety eye systems can be added to some garage door openers, but it is recommended that you replace the entire unit. To avoid anyone becoming trapped by the door you should always perform the reversal test with the opener after any adjustments or repairs are made.